FREE One Month Trial Pair Of Contact Lenses! You are here: Home / FREEbies / FREE One Month Trial Pair Of Contact Lenses! If you are a contact lens wearer, this deal is for you! 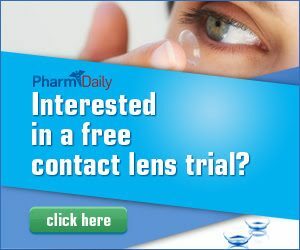 Click on the picture above to get your FREE One Month Trial of Contact Lenses from PharmDaily Aqua.